le chaudron de vulcain – April 08 , 2019. EN. Alaska : Veniaminof , Chile : Nevados de Chillan , Indonesia : Bromo , Mexico : Popocatepetl . Home / Alaska / April 08 , 2019. EN. Alaska : Veniaminof , Chile : Nevados de Chillan , Indonesia : Bromo , Mexico : Popocatepetl . Weakly elevated surface temperatures were observed in partly cloudy satellite images during the past 24 hours. Mostly clear web camera views showed steaming from the intracaldera cone. Weak, low-level tremor continues to be observed on seismic stations at the volcano. 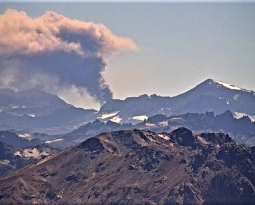 Volcanic Activity Report (RAV), Volcanological Observatory of the South Andes – Ovdas, 06 April 2019, 15:00 HL. Seismic activity: During the last 24 hours, the monitoring network of the Nevados volcanic complex in Chillan continues to record volcano tectonic (VT) type seismicity, long period type (LP) and tremor episodes, with seismic energy who remains at a rank considered moderate. 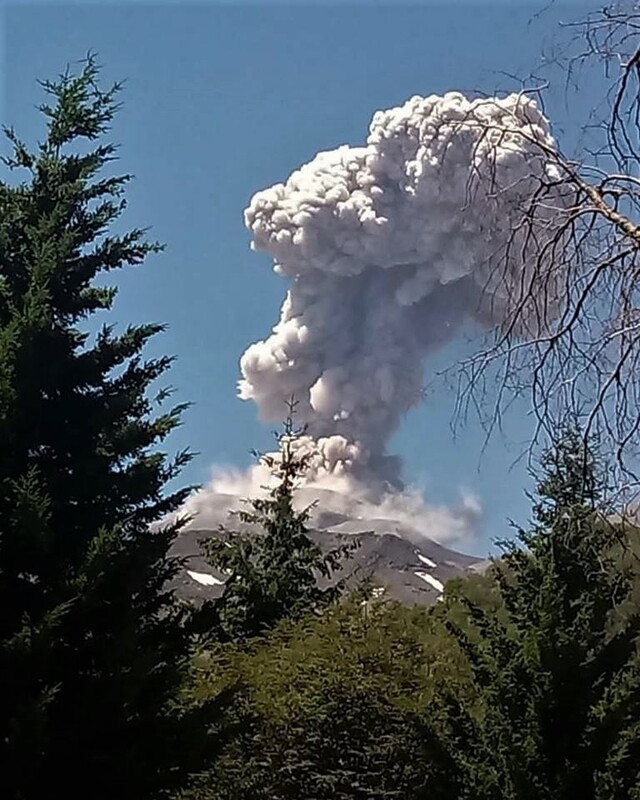 The seismicity LP and TR being related to the occurrence of explosions which impulses the surface activity and is associated with the variation between the growth and the partial destruction of the viscous lava dome in the crater Nicanor. Observations: The most energetic VT event was located 1.1 km southeast of the active crater at a depth of 4.0 km. When weather conditions permitted, pulsatile emissions of predominantly white color, with predominance of water vapor, and sometimes greyish tones, were seen due to the presence of particulate materials. 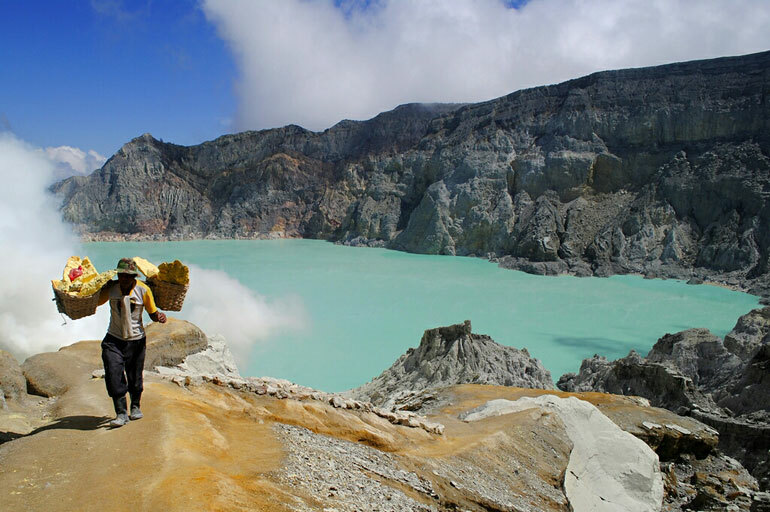 During the night, incandescence is observed and ballistic materials on the crater contour. The maximum height of the gas column does not correspond to the highest explosion recorded. ⦁ Infrasound sensors recorded acoustic signals associated with explosions (EX) with maximum values ​​and less than 0.53 Pa (reduced to 1 km as a reference). The behavior of the Nevados de Chillan volcanic complex continues to evolve as a result of a minor eruption related to the growth and partial destruction of a lava dome tucked into the active crater « Nicanor », whose internal dynamics drive activity explosive hot gases and pulsatile releases, ballistic particles around the crater, while maintaining the production of long – period type seismic events and tremors, in ranges of energy considered moderate for this process. 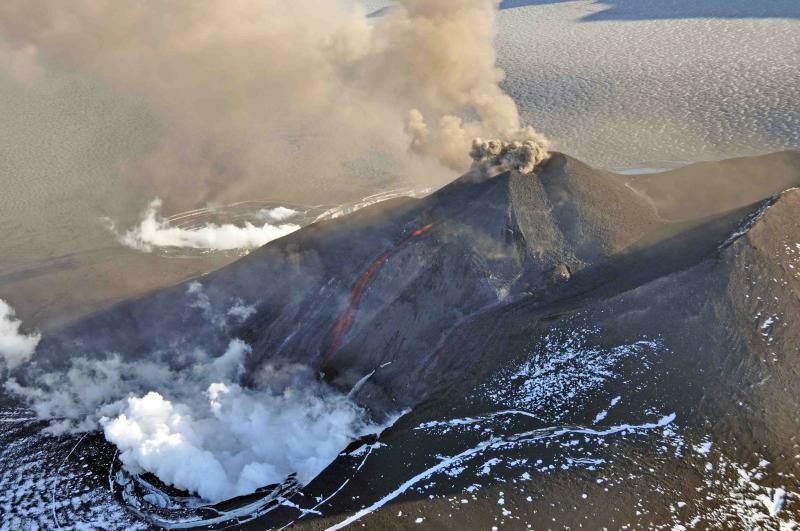 This process could generate a major eruptive event without showing clear precursors. Level of activity at Level II (WASPADA). 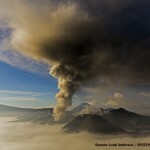 The Bromo (2329 m altitude) has experienced prolonged eruptions. Since yesterday until this morning, it was clearly visible before being covered with fog. 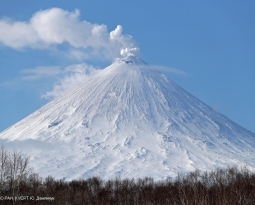 Crater smoke from white to gray was observed with low intensity to a maximum altitude of 900 meters above the summit. The wind was weak in the northwest and north. Tremor continuous amplitude 0.5 – 31 mm, dominant 3 mm. 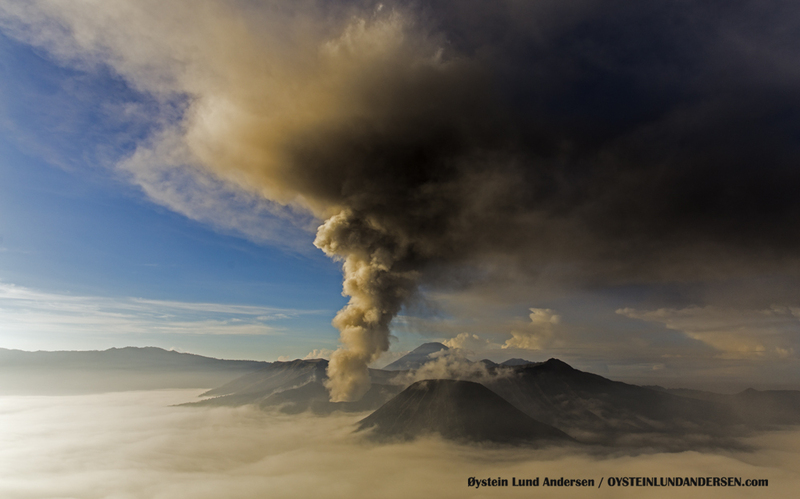 Communities around G. Bromo and visitors / tourists should not move within 1 km of the crater. April 07, 11:00 am (April 07, 17:00 GMT). 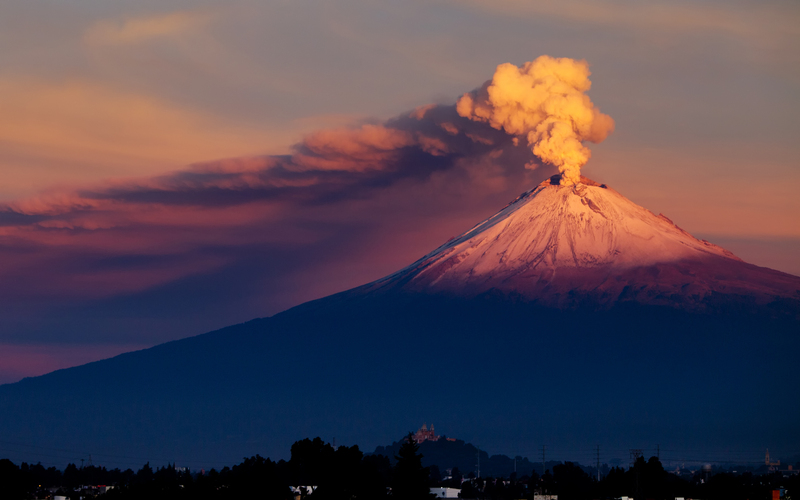 During the last 24 hours, thanks to the surveillance systems of the Popocatépetl volcano, 62 exhalations have been identified, accompanied by volcanic gases and light amounts of ash. In addition, yesterday at 3:20 pm, a volcano-tectonic earthquake was recorded, with a calculated magnitude of M2.0. Similarly, low amplitude tremor segments were recorded, totaling 137 minutes in total. In addition to these events, continuous emissions of gas and light amounts of ash dispersed mainly to the east-southeast were observed. At the time of writing, we have again observed a slight emission of volcanic gases dispersed in the East-South-East direction. 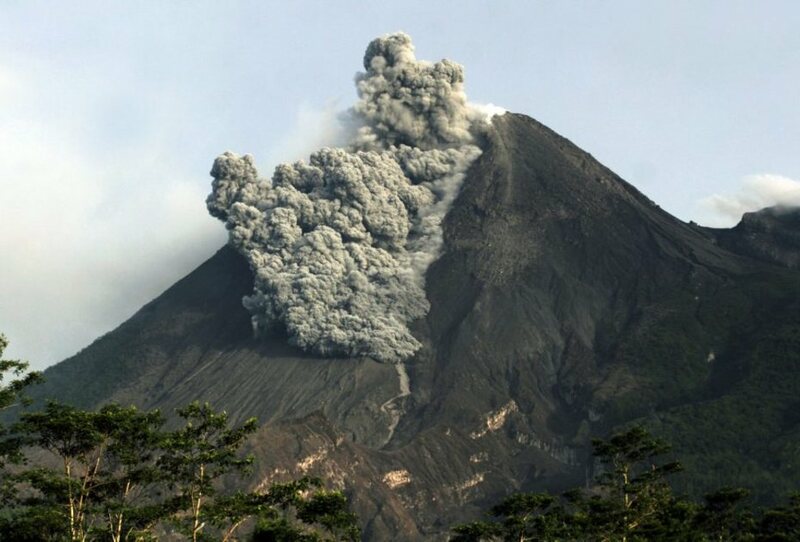 CENAPRED urges NOT to APPROACH the volcano and in particular the crater, for the danger of falling ballistic fragments, and in case of heavy rains, to stay away from ravine bottoms because of the danger of mudslides and debris.